Dr. Richard B. Wetherill was a local physician, world traveler and amateur historian. He was one of the founders of the Tippecanoe County Historical Association and served as the first president of the Board of Governors. Upon his death in 1940, TCHA received Dr. Wetherill’s entire estate. This donation serves as the foundation of the TCHA’s collections. Before visiting the archives, please read our Reference and Research Policy. 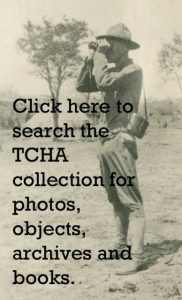 The TCHA archive collection contains over 250 business, organizational, and personal collections of materials. There are also several topical collections such as the educational collection that contains materials from schools, past and present, within the county. Collection Guides are available for processed archival collections. Additions and edits are made on a regular basis, so please check back or contact the Curator for the most recent versions. The TCHA photo archive contains thousands of photographs and negatives of buildings and scenes documenting Tippecanoe County’s history. They are arranged topically and are available for researchers to look through. The photo archive also contains a portrait collection of persons in the county. Many images are available for reproduction, subject to a license and fees agreement. An extensive collection of the works of George Winter was donated to the Tippecanoe County Historical Association in 1986 by Mrs. Cable G. Ball, the widow of Winter’s great grandson. This gift to the Lafayette community includes manuscripts, letters, drawings, and paintings of this important 19th century artist. In collaboration with the Purdue University Libraries, a digital collection of George Winter’s works and writings is available online here.